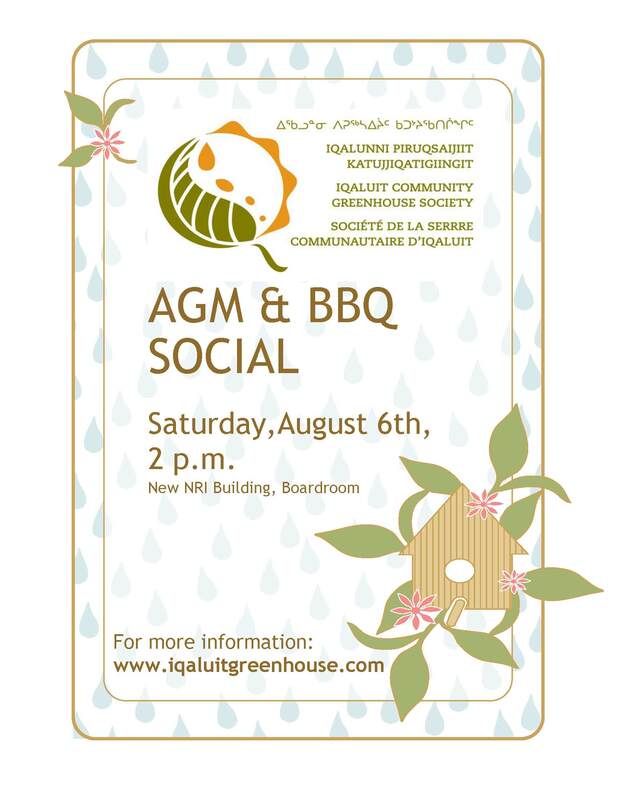 The Iqaluit Community Greenhouse Society requests the presence of its members for the completion of our Annual General Meeting on Saturday August 6 at 2 PM in the Boardroom of the Nunavut Research Institute building. At the conclusion of the meeting, the Board of Directors invites all members to a free barbecue social. Come out for some great food prepared by your ICGS Board!